The RCMP closely monitored the movements Thomas-Muller as it tightened surveillance in July 2010 around possible protests in northern British Columbia targeting the energy firm behind the controversial Northern Gateway pipeline, according to “confidential” documents obtained by APTN National News. The documents come from the RCMP’s Suspicious Incidents Report (SIR) database and show police closely monitored the movements of a member of the Indigenous Environmental Network (IEN). According to the documents, the RCMP considers IEN an “extremist” group and a trip by an IEN member to a direct action camp in July of that year created a flurry of database activity involving RCMP officers with the force’s national security operations in B.C. and Ottawa. The documents don’t mention a name, but cross-referencing the date, the identified organization and the location detailed in the file pinpointed Thomas-Muller as the individual monitored by the RCMP. The documents were obtained under the Access to Information Act by academic Jeffrey Monaghan, who is a criminology instructor at Carleton University and completing a doctorate at Queen’s University. IEN is headquartered in Bemidji, Minn., and describes itself as a grassroots organization focused on climate and social justice issues, according to its website. IEN is headed by prominent Dine’-Dakota environmentalist Tom Goldtooth. Goldtooth could not be reached for comment. Thomas-Muller was a member of IEN at the time. He left IEN in 2012 after spending 12 years with the organization. He said he’s not sure how the RCMP found out about his plans to go to the action camp, but he regularly posts his movements on social media sites like Twitter and Facebook. Thomas-Muller is currently co-director of the Indigenous tarsands campaign with Polaris and is a consultant to U.S.-based organization 350.org. He said he’s only been approached by security agencies once, during the height of the Idle No More movement between 2012 and 2013. He said he told the officer who contacted him to submit his request for the meeting in official correspondence to Idle No More and Defenders of the Land. “They cold-called me at my house,” said Thomas-Muller, who ended work as an official Idle No More organizer earlier this year. The documents record entries from RCMP officers into the SIR database. The entries focus on concerns around possible protests in July 2010 against energy firm Enbridge’s Northern Gateway pipeline project. The controversial Gateway project would transport bitumen from Alberta’s tarsands to the B.C. coast for loading onto tankers headed to Asian markets. The project received federal cabinet approval but now faces an onslaught of legal challenges from B.C. First Nations. Thomas-Muller’s activities caught the RCMP’s attention. The RCMP created a file on Thomas-Muller’s planned trip to the action camp. The file was dated the same day as Douglass’ email. “Information file opened to gather information involving demonstrations to the Northern Gateway Pipeline,” according to the file, number 20103467. The file was classified as a “Critical Infrastructure-Suspicious Incident.” The file summary goes on to state that the “known member of (IEN)” would be heading to the action camp on July 8, 2010. The file, which remained active, included three “associated occurrences” dated in 2011. Little detail is provided about these occurrences. The list included the date, whether it happened in the same area, employed a similar modus operandi or was a similar event. The file also listed a number of groups as “involved persons.” The groups listed include the Defenders of the Land, Direct Action in Canada for Climate Justice, Ontario Public Interest Research Group, Ruckus Society, Global Justice Ecology Project, Sea to Sands Conservation Alliance, Canadian Youth Climate Coalition, the Indigenous Action Movement and the Wet’suwet’en Direct Action Camp. Russ Diabo, a policy analysis from the Mohawk community of Kahanwake and Defenders of the Land member, said it’s no surprise his group was listed in the documents. The RCMP officers involved on the file included several with B.C.’s E Division’s Integrated National Security Enforcement Team (INSET), intelligence analysts from Ottawa and a supervisor from the federal policing operational analysis sector at RCMP headquarters in the capital city. A senior officer at Ottawa RCMP headquarters determined Thomas-Muller’s file should be uploaded to the SIR database because IEN was an “extremist” group. The file was also forwarded to the now dismantled Aboriginal Joint Intelligence Group (JIG) and to the RCMP’s main liaison with the energy sector. An RCMP spokesperson said last Thursday the RCMP needed time to respond to requests for comment. 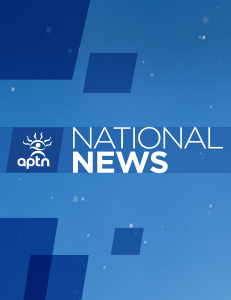 APTN National News contacted the RCMP again Tuesday and is still awaiting a response. Thomas-Muller said the RCMP’s interest in his activities betrays the success of social movements on the tarsands and Indigenous rights fronts. I think the police should stop worrying about the people that keep it real and are fighting for rights of First Nations and Mother Earth here in Canada. They should be more focused on the home grown terrorists that are infecting this great country and trying to destroy her from within. Don’t make sense that they keep tabs on people that are trying to save her? Well Clayton, time to build on that list and I know I’m right up there with you already, consider it a badge of honour because we are doing the work others simply talk about. I’m ready for more direct actions and advocate for not only our people but anyone that wants to take a stand against the destructive environmental agenda that is coming from all levels of government.